It's dichroic fire and ice! Lovely dark reddish-orange with stripes of cool, aqua blue! There are also stripes of black glass with bright ruby red hearts as well as silver triangles. 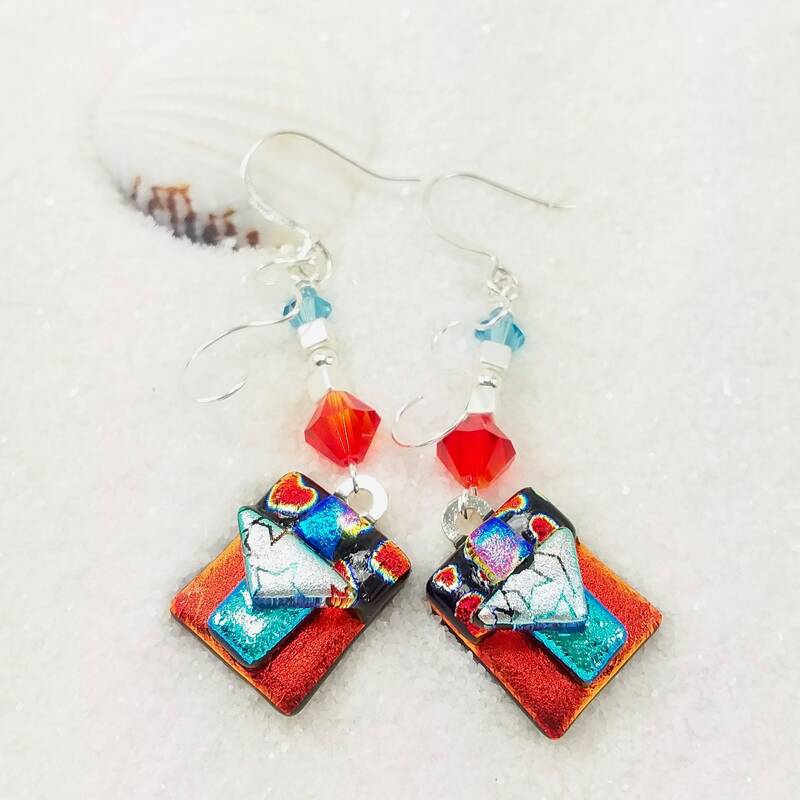 They dangle from matching aqua blue and deep orange Swarovski crystals, too! Oh! And I also hand-formed some silver plated wires to give additional interest. They are set with shiny sterling silver plated bails & ear wires! The glass measures 7/16"w X 1/2"h.